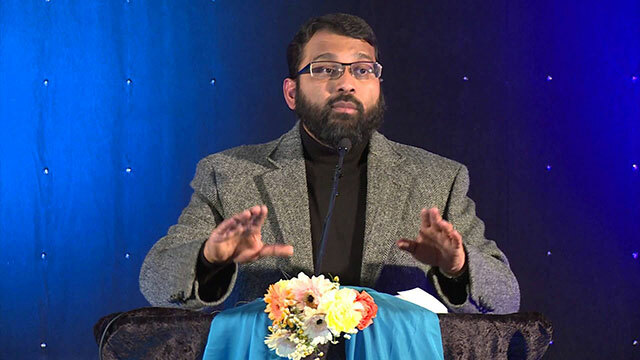 Shaykh Yasir Qadhi, PhD, is one of the few people who has combined a traditional Eastern Islamic seminary education with a Western academic training of the study of Islam. Shaykh Yasir graduated with a B.Sc. in Chemical Engineering from the University of Houston, after which he was accepted as a student at the Islamic University of Madinah. After completing a diploma in Arabic, he graduated with a B.A. from the College of Hadith and Islamic Sciences, and then completed a M.A. in Islamic Theology from the College of Dawah. He then returned to America, and completed a PhD in Religious Studies from Yale University. He has authored several books, published academic articles, and appeared on numerous satellite and TV stations around the globe. His online videos are of the most popular and highly-watched Islamic videos in English. Shaykh Yasir Qadhi is the Resident Scholar of the East Plano Islamic Center. He is also a Dean of the newly formed Islamic Seminary of America.